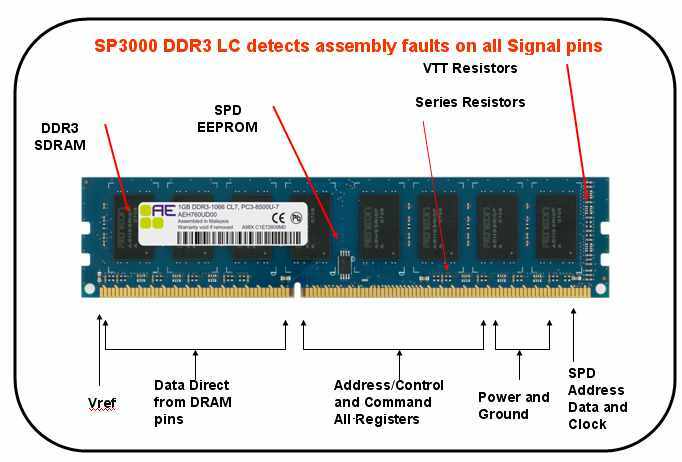 The new SP3000-DDR3 LC DIMM Tester is capable of testing the New PC3-6400 (DDR3-800Mhz), PC3-8500(DDR3-1066Mhz) and PC3-10666 (DDR3-1333Mhz) DIMM memory modules. This makes CST, Inc. the first in the industry to offer the lowest cost DDR3 test solution for all types of DDR3 DIMM memory module. This SP 3000 DDR3 LC tester never obsoletes itself and is capable of testing the DDR3 1800Mhz and 2Ghz DDR3 DIMM at a reduced speed. "The new DDR3 LC DIMM Memory Tester solution will offer all major memory OEM manufacturers the opportunity to quickly test DDR3 DIMM memory modules for common assembly faults such as Missing or Incorrect VTT Termination and Series Resistor at a very low cost , said Sun, Marketing executive at CST ShenZhen". The "SP3000 DDR3 LC DIMM Adapter" is built to work with the CST universal SP3000 base tester, which allow user to swap inter-changeable DDR2,DDR, SDRAM & DRAM test adapters. With a simple push button, the SP3000-DDR3 LC tester quickly auto-identify and displays the memory size of the DIMM memory module. It even reads and programs SPD EEPROM on the DDR3-SDRAM DIMM. Special mechanism is included to satisfy the new JEDEC "Reversible SPD Protect" specifications also. The New "SP3000 DDR3 LC DIMM Tester" series tester provides added troubleshoot capability for the present and future DDR3 memory modules at affordable prices. It is specially targeted for the DIMM/SODIMM manufacturers. "With this new low cost DDR3 test solutions, memory manufacturers can quickly implement the SP3000 DDR3 LC with the RoboFlex Automatic Handler to greatly reduce memory module testing cost, speed up testing process and improve test quality, said Sun". 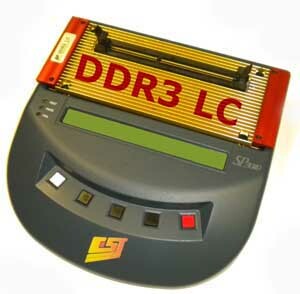 The SP3000-DDR3 LC tester can also be interface to CST ‘s RoboFlex-Mini,RoboFlex2 DIMM Handler for mass volume testing.